For over a century, the mining industry has relied on FLSmidth to deliver exceptional technology, products and services. Today, FLSmidth offers integrated plant system solutions which can shorten your project schedule and lower your costs with a higher level of quality assurance from One Source. 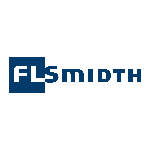 As a One Source supplier, FLSmidth integrates testing, detailed design engineering, global procurement, expert process control, and localized services to ensure customized total packages. Utilizing the latest in equipment technology, resources, and materials, FLSmidth delivers optimum design and process support along with proprietary equipment for a complete minerals processing flowsheet. FLSmidth is the industry’s One Source for crushing, grinding, classifying, thickening, clarifying, filtering, slurry handling, flotation, mine shaft systems, pyroprocessing, material handling, automation, engineering, and modernization services. We’ll work closely with you to find the right solution for your specific application. Recognized as a world leader in the mining industry, FLSmidth brings you proprietary equipment of leading brand names, along with an aggressive product development program for all your mineral processing and material handling needs.